Yesterday was Sunday and I was recovering from a cold and recovering from my husband also being out of town for 5 days. I decided that morning that we were all up to worshipping God corporately at church (or just didn't want to do another day by myself at the ranch). It is rare to be able to actually attend church on Sunday mornings, but while the ranch is still closed down we have weekends off and take full advantage. With husband out of town, 3 kids in tow, recovering from much phlegm, and our typical 3 hour round trip off we went. As I hit the 9 mile dirt road once again and felt the routine tug at my heart to be flustered and discontent about living so far from convenience, I quietly surrendered to the time God had for me on that road. It truly was a peaceful drive. On this very sunny, blue-skyed day, I peaked a hill 2 miles from the ranch and in my peripheral vision saw the biggest bird I had ever seen. I honestly considered what the heck a pelican was doing in the Rocky Mountains and as the sun shone even brighter on the creature's white tail feathers, I realized I was driving along side of a rare sighting of a bald eagle. I had never seen one so close. I could not contain my excitement, waking my two boys and trying to spot the bird for my daughter, not one of them was able to participate in my excitement. I will never forget it and I am once again thankful for the splendor God has for me in my 9 miles. I could not help but meditate on a promise in Isaiah 40:31 and "those who wait for the Lord will gain new strength, they will mount up with wings like eagles..." I have never had such a clear vision of that promise. 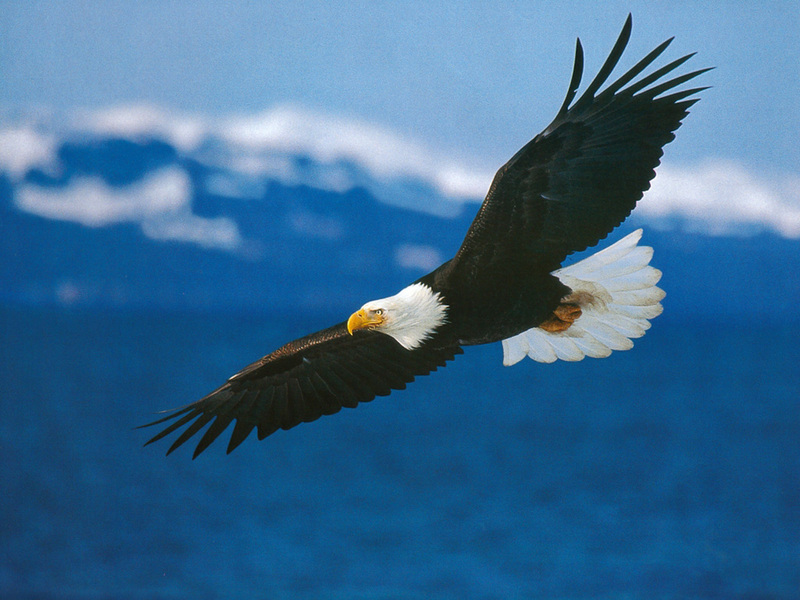 That eagle was HUGE and this is the kind of grace and strength the Lord desires to give us. Is this what I portray to this dying world? Am I an eagle that anyone and everyone wants to just get a glimpse of? More likely, I am the frantic, puny black bird that most of us consider a bad omen. I am thankful that my Lord is always waiting on me as I learn to wait on Him. Reading some of your most recent posts. SO needed to hear this, Brooke! Thanks for sharing. Happy Easter!